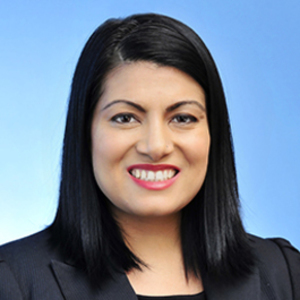 Reena R. Bajowala is a partner in the firm’s Complex Commercial Litigation Practice and a member of the Information Technology Disputes, Class Action and Labor and Employment practice groups. She is an experienced trial attorney who defends online and brick-and-mortar retailers, manufacturers, technology companies, automotive industry clients and government defense contractors in technology outsourcing, consumer and employment disputes. Ms. Bajowala regularly counsels and defends sellers and buyers of Information Technology (IT) services with respect to their rights under contract, tort and copyright law. Ms. Bajowala also advises clients regarding trade secret, privacy and trademark law. In addition, Ms. Bajowala assists clients with evaluating business decisions relating to call centers and data centers around the globe. In addition, Ms. Bajowala regularly counsels and defends employers and service providers in federal actions involving the FLSA and ERISA. She is adept at dealing with the intricacies of class, collective and plan-wide litigation, including issues arising from the Class Action Fairness Act, Multi-District Litigation and hybrid action procedures. She also defends companies in consumer fraud and deceptive practice litigation and investigations. Ms. Bajowala is active in several organizations that foster diversity and access to justice, including board leadership with the Public Interest Law Initiative, the Albany Park Theater Project and the Chicago Volunteer Legal Services Foundation. In 2005, she founded the Origins Fellowship Program at the University of Michigan Law School, through which the Asian Pacific American Law Student Association has awarded almost $100,000 in funds to over 25 law students working to advance the public interest. She founded the firm’s Mother’s Circle of the Women’s Forum and also serves on the Women’s Forum Steering Committee, the Diversity & Inclusion Committee and the Transgender Inclusion Working Group. She previously served as co-chair of the firm’s Asian Forum and on the firm’s Hiring Committee and the firm’s Pro Bono Committee.